"As business sentiment continued to grow more positive, customer activity increased in all segments and markets where we operate. With SEB's diversified business mix, we can support our customers and deliver sustainable profitable growth also in the prevailing complex environment. 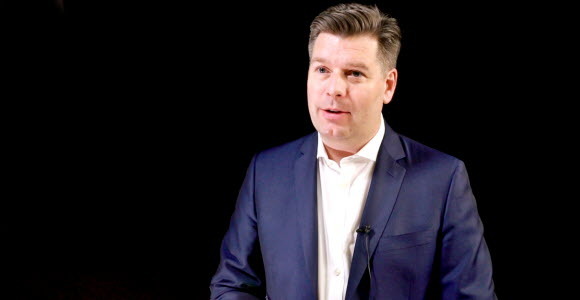 In the second quarter, operating income and operating result increased both compared to last year and the first quarter this year", says Johan Torgeby, SEB's President and CEO, commenting on the quarterly result. Operating income for the second quarter amounted to SEK 11.4bn (11.2). Compared to the second quarter 2016, operating income increased by 2 per cent. Operating expenses amounted to SEK 5.5bn (5.4). Compared to the second quarter 2016, operating expenses increased by 3 per cent. Asset quality remained strong. The net credit loss level was 6 basis points for the quarter (5). The liquidity coverage ratio was 120 per cent (168 at year-end). The capital position remained strong with a Common Equity Tier 1 capital ratio of 18.9 per cent (18.8 at year-end). SEB's own assessment of the CET1 requirement, including the maturity floor and corporate risk weights, was 17.0 per cent. This is information that Skandinaviska Enskilda Banken AB (publ.) is obliged to make public pursuant to the EU Market Abuse Regulation. The information was submitted for publication, through the agency of the contact persons set out above, at 7 am CET, on 14 July 2017. SEB is a leading Nordic financial services group with a strong belief that entrepreneurial minds and innovative companies are key in creating a better world. SEB takes a long term perspective and supports its customers in good times and bad. In Sweden and the Baltic countries, SEB offers financial advice and a wide range of financial services. In Denmark, Finland, Norway and Germany the bank's operations have a strong focus on corporate and investment banking based on a full-service offering to corporate and institutional clients. The international nature of SEB's business is reflected in its presence in some 20 countries worldwide. At 30 June 2017, the Group's total assets amounted to SEK 2,777bn while its assets under management totalled SEK 1,835bn. The Group has around 15,000 employees. Read more about SEB at www.sebgroup.com.